The Ashmolean Museum is home to some of the finest collections of Chinese art in Europe. The collections range from jades and ceramics of the Neolithic period through to modern, often contemporary, paintings and prints. With such a broad and varied collection, the Ashmolean is able to present an integrated display of artefacts that have appealed to a European aesthetic as well as mainstream art as it has been appreciated in China. 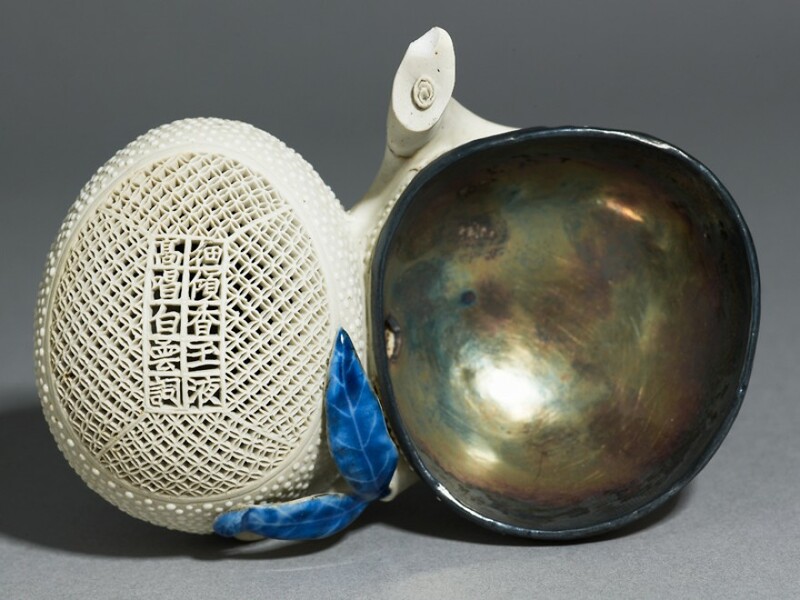 Chinese ceramics have always been highly regarded and avidly collected, and the Ashmolean collection mainly comprises earthenware, high-fired ware and porcelain from China's most famous kilns. It also includes the most important collection of greenware celadons outside China. Many of the seventeenth- and eighteenth-century porcelains the Museum now houses were acquired during the nineteenth century, although a few were presented by Elias Ashmole himself in 1683. The Museum also has a renowned collection of works from the modern period. The Museum began acquiring these paintings in the late 1950s, with a focus on modern works in the literati tradition. Many of the major works were acquired in the early 1960s, but the collection has continued to develop to include works from the 19th century and earlier, to paintings by young artists working at the end of the twentieth century. 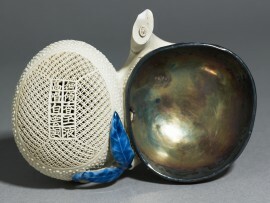 A number of major gifts to the Museum have significantly enhanced the Chinese collections; C. D. E. Fortnum's bequest containing Chinese metalwork in 1899, Sir Herbert Ingram's substantial gift of early bronzes, jades and ceramics in 1956 and 130 modern paintings presented in honour of Jose Mauricio and Angelita Trinidad Reyes in 1995.